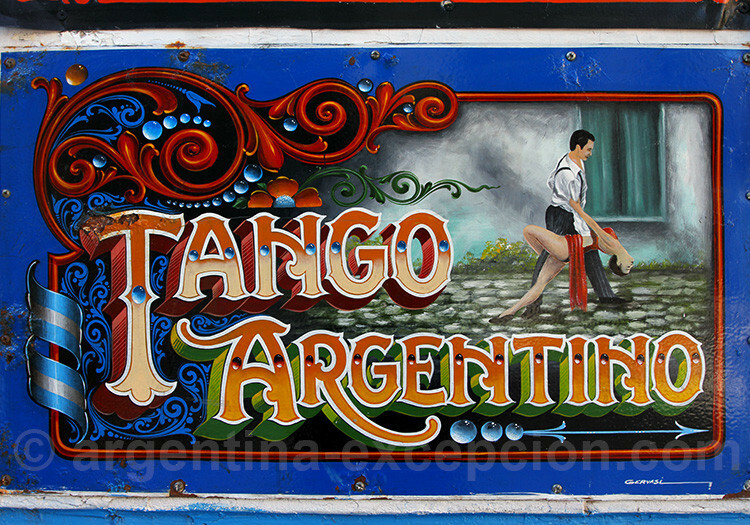 The tango was born at the end of the 19th century when Buenos Aires was receiving ships full of European immigrants. The tango, as a musical genre, was born at the end of the 19th century in Buenos Aires when the city was flourishing, receiving ships full of European immigrants. In those times, the habanera that was played had been born in Cuba but had come out of an European counter-dance as guajira, tango flamenco or fandango… The heirs of the African slaves preserved the drum rhythm in the candombe. The settlement in this new country, Argentina, gave birth to a musical merger firstly to the fast rhythm of the milonga, and then to the tango. These drums, flutes and guitars were later replaced by the piano, the violin and the bandonion: the three basic instruments of tango. The rhythm was known as 2×4, although it was sometimes played in 4×8. The birth certificate of tango was never proven, the genre was structured little by little and the amateur musicians worried very little about publishing the scores. 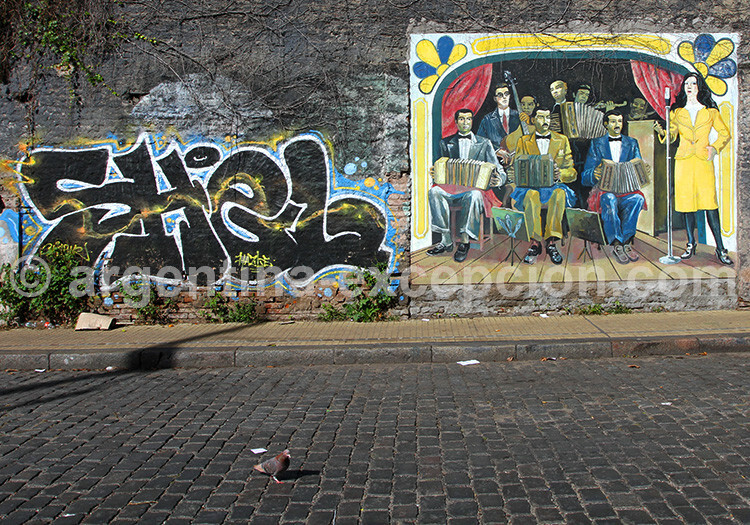 It was an urban and popular art expressed not only in Buenos Aires but also in Montevideo, Uruguay. Tango had its own language: lunfardo, the jargon of the mob that would leave traces in the porteño language. It retold love disillusions and social realities, very seldom serious or sarcastic facts, the tango was for script-writer Discépolo, “a sad thought that can be danced”. 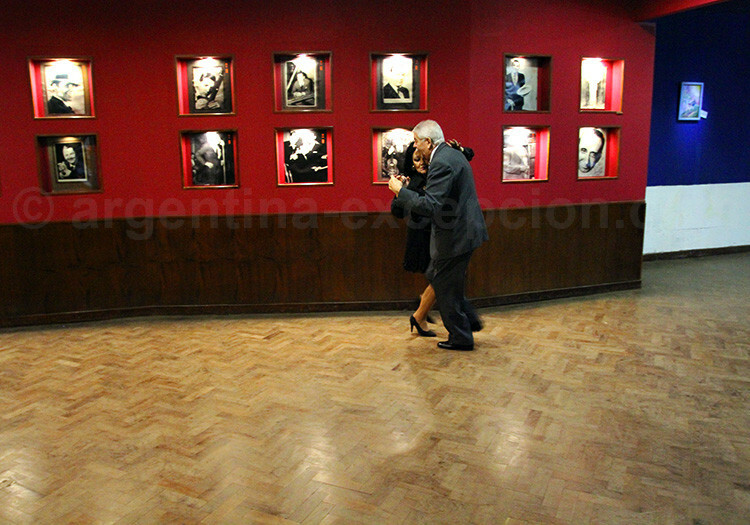 “Tango is the Argentine fifth essence. As no other genre, it transmits the character made up of sadness, rage and grace, however, they were painfully included”, wrote Saúl Yurkievich in Los poetas Del tango (Tango poets, Gallimard). From the very beginning, the milonga and the tango found their natural complement in the couple dance and, curiously at the beginning it was between men. They practiced on the streets, in the conventillos (tenements) –very poor houses where immigrants crowded together-, they invented the dance as the music was being created. Then they went to dance to the brothels with the prostitutes from Italy, Spain, France… It was thanks to them that at the beginning tango had a very bad reputation: it was the music and dance of poor neighborhoods and rogues. The first scores arrived in Europe, especially in France, onboard Sarmiento Frigate at the beginning of the 20th century. It caused great frenzy. Paris and the Belle Époque, impassioned by the tango, and even the middle class, were all caught by this dance that was danced in the arms of the partner. As it all happened in Paris, it caught Buenos Aires’ attention and, thus, tango received a noble title also in Argentina, where so far it had not been considered of good taste. 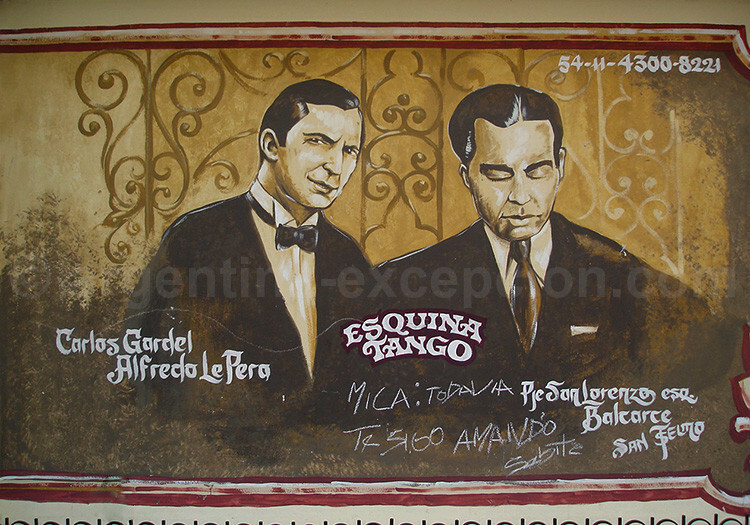 The first singers and musicians: the “vieja guardia” composed the tango base up to the 1920s: El Entrerriano by Rosendo Mendizábal (1898), La Morocha by Enrique Saborido (1905), El Choclo by Ángel Villoldo (1903), one of the most famous ones together with Francisco Canaro and Roberto Firpo, who composed the tango among all the tangos : La Cumparsita (1916). They were those who imposed the bandonion which became the most representative instrument of tango. 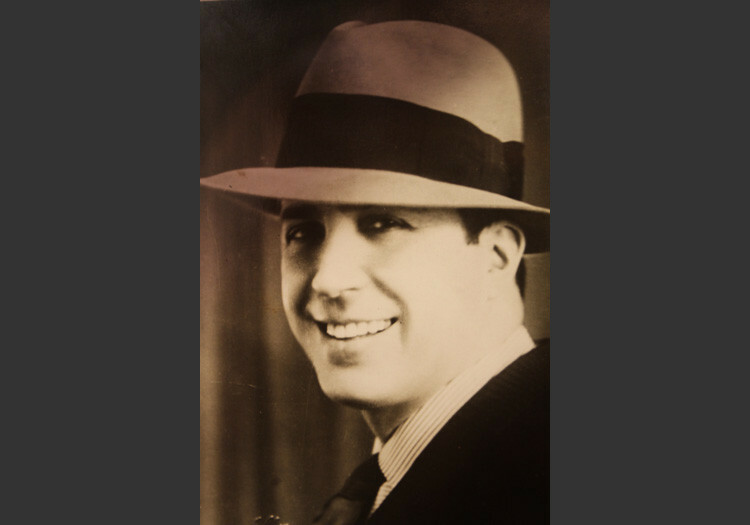 The most famous singer of all the times, Carlos Gardel, was successful in the 1920s and 1930s, up to his tragic death caused by a plane accident in 1935. The trios and quartets made way for the typical orchestras that included bandonion, violin, double bass and piano, there were usually ten instruments accompanying one or two singers, a model that Julio de Caro imposed in the 1920s. These Orquestas típicas played so that people could dance in the ballrooms, cabarets and academies that were multiplied in Buenos Aires and around the world. 1940s were the golden years. It was a time of the orchestras conducted by Osvaldo Pugliese, Aníbal Troilo, Carlos di Sarli, Horacio Salgán, Osvaldo Fresedo, Alfredo de Angelis, Juan d’Arienzo. Some unforgettable pieces were signed by the great poets such as: Homero Manzi, Enrique Cadícamo, Enrique Santos Discépolo, Cátulo Castillo… sung by Roberto Goyeneche, Ángel Vargas or Edmundo Rivero. In the 1960s and 1970s, clubs and ballrooms closed one after the other. Tango started to slow down. Big orchestras with fifteen musicians were reduced to three or four. 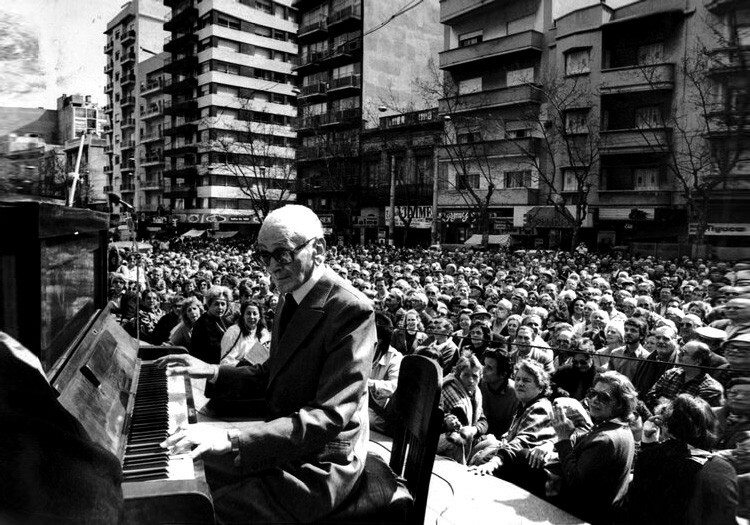 The most famous orchestras continued playing trying to change the repertoire to adapt it to the new taste of the public but tango in Buenos Aires was no longer danced. Out of the avant-garde musicians, Astor Piazzolla was the one to get farther. 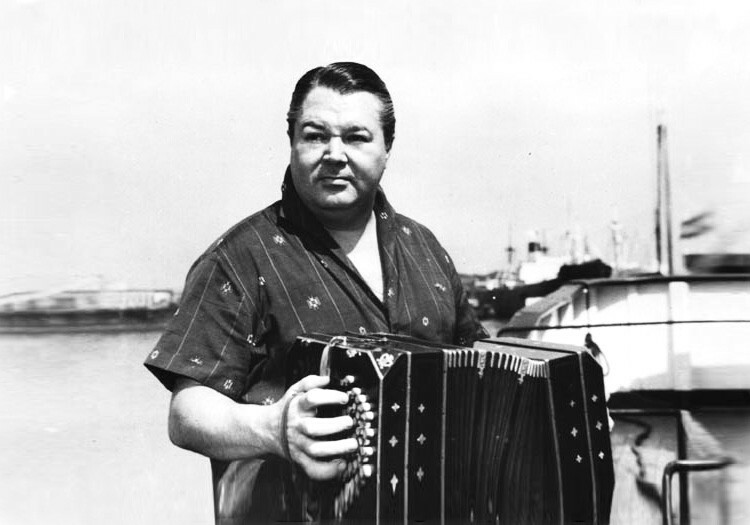 The arrangements by this great bandonion-player, deeply criticized by the “purists”, allowed tango, however, to evolve, get renewed, survive and obtain a new international acknowledgment of the tango, as once had done Gardel with his interpretations.